TRAPPIST-1 made international headlines last year when astronomers confirmed that seven rocky, Earth-like planets were orbiting it. T	T	he Kepler space telescope, NASA’s venerable planet-hunting spacecraft, is low on fuel and has only a few weeks or months of operations left. But though the end is near, Kepler has been capping its epic decade of work with a series of prominent planetary sightings — including another look at the intriguing red dwarf star TRAPPIST-1. TRAPPIST-1 made international headlines last year when astronomers confirmed that seven rocky, Earth-like exoplanets were orbiting it. 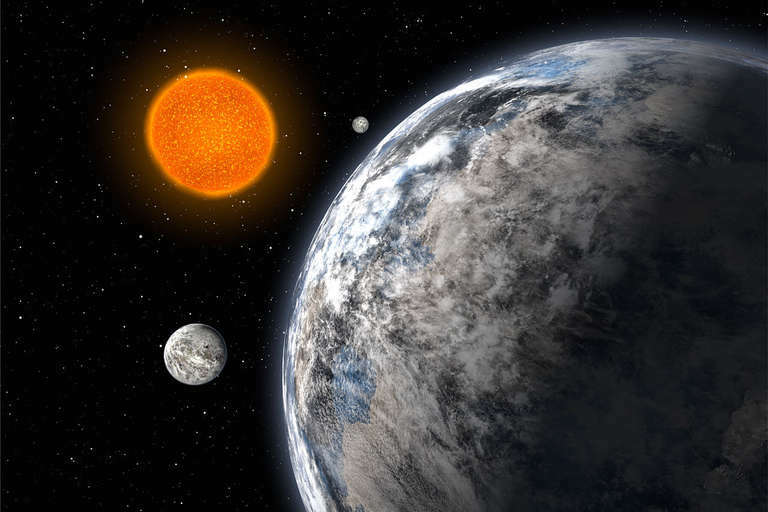 The news set off a frenzy of speculation that some of the planets were in a potentially habitable zone where liquid water might exist on their surface, but that remains a matter of debate. The red dwarf star these planets orbit is variable, and may occasionally spew its planets with deadly radiation that strips them of their atmospheres. Kepler just finished fresh observations of the star system under the K2 18th observing campaign. K2 is the mission in which the spacecraft spins between different sectors of the sky, using the sun’s solar wind pressure to keep the spacecraft steady in space. Kepler lost two of its four reaction wheels (pointing devices) years ago, and this is the only way that it can stay steady in space. Due to fluctuations in solar pressure, the K2 mission has a little bit more observing “noise” than Kepler’s previous campaign, when it stared rock-steady at a point in the constellation Cygnus. Yet the K2 campaign has still revealed dozens of new planets. Kepler finds planets by watching them pass across the face of their parent star. As the seven planets of TRAPPIST-1 orbit their parent star, the mutual gravity between each of these planets causes small variations in the timing of their star crossings. “If we can measure that slight change in the timing of the transit, that lets us infer how much the planet weighs,” project scientist Jessie Dotson told Seeker. Knowing a planet’s mass hints at its composition. Gassier planets generally tend to be larger, like Jupiter and Saturn. Rocky planets tend to be smaller, perhaps only getting as big across as four Earth diameters or so. 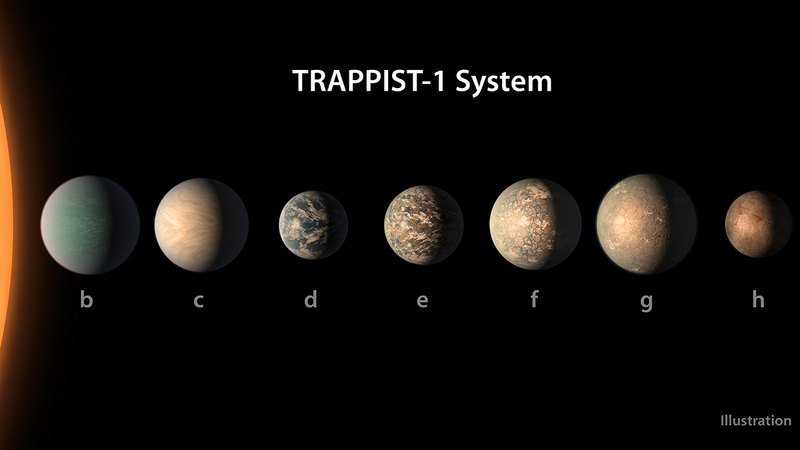 Since life as we know it thrives on rocky planets, determining the precise mass of each TRAPPIST-1 planet will help us learn more about their possible habitability. And that’s not all the K2 mission has in store. NASA temporarily put the spacecraft into sleep mode after 51 days in the K2 18th campaign, because engineers saw fuel fluctuations indicating that the spacecraft was likely extremely low on fuel. The agency paused operations and downloaded the data through NASA’s Deep Space Network at the regularly scheduled time. 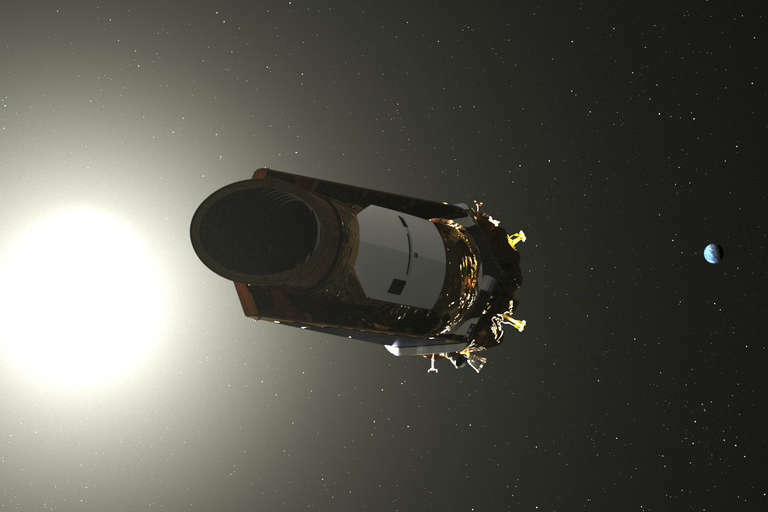 Since Kepler still appeared to be in good health after waking up, NASA proceeded with the 19th campaign, which will run through Oct. 10 — and the space agency has also been in the process of planning the 20th observing campaign. A typical campaign lasts 60 to 80 days, and with Kepler’s uncertain fuel situation it’s unclear just how many more campaigns it has left in the tank. But the agency will continue to wring as much science out of the spacecraft as possible in the coming weeks and months. “We’re going to keep operating as long as the spacecraft lets us,” Dotson remarked. A prominent target of the 19th campaign is GJ 9827, a star with three super-Earth exoplanets in its orbit that is relatively close to Earth. Kepler and the Hubble Space Telescope will study it together for the first time, trying to ferret out more clues about the planets’ atmospheres. An atmosphere offers another big clue to a planet’s history, and in a smaller planet it can also suggest how habitable it may be. A planet with an oxygen-nitrogen atmosphere might indicate that it can potentially support life as we know it, since that’s the approximate composition of Earth’s atmosphere. 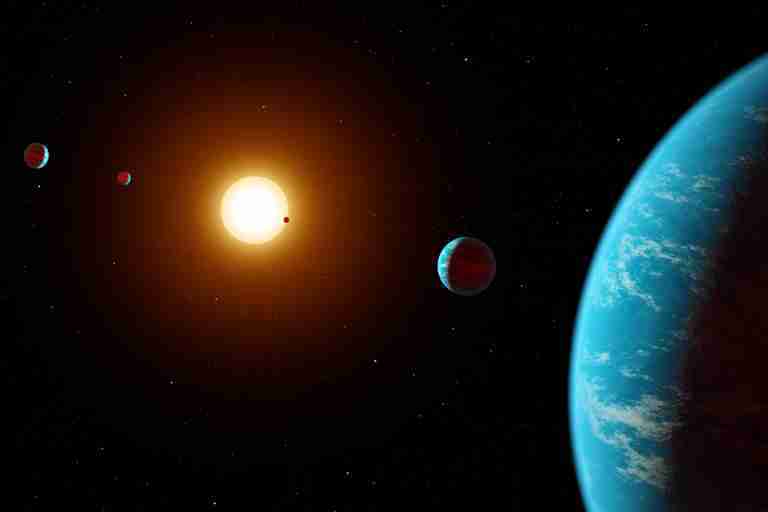 Kepler will also look again at K2 138, which has five planets in resonance with each other. This means that the planets orbit their star in a specific pattern; for example, one planet might orbit its star twice in the same time that another planet orbits once. What also makes K2 138 unique is that it’s the first multi-planet system to be discovered by citizen scientists. The waning space observatory will also hunt for new planets around stars, study clusters of stars, keep an eye out for supernovas and variable stars, and even do observations of the planet Neptune in the coming weeks. Even when Kepler eventually dies, its data will live on. Dotson noted that each member of the Kepler community has their own specialized interest that they would like to delve into first. Some are focused more on planets, while others may look at phenomena such as supernovas or huge red giant stars. As time goes on, the data will be collected and sorted into even more in-depth studies for future planet-hunters to probe. 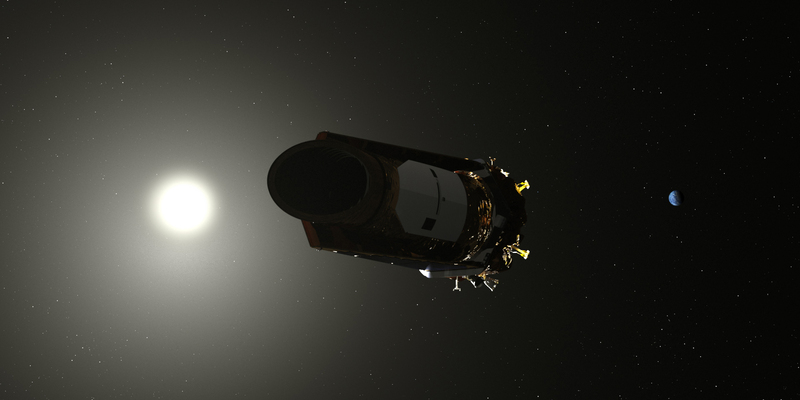 While Kepler is near the end of its life, another spacecraft is just beginning its mission. The Transiting Exoplanet Survey Satellite (TESS) launched successfully in April and began its nominal observations in late July. TESS is designed to look at planets even closer to Earth, and mission planners hope to discover at least 50 new rocky planets in its first three years of operations.